Our Innovation Teams have been hard at work all summer and are excited to share their final projects with you! 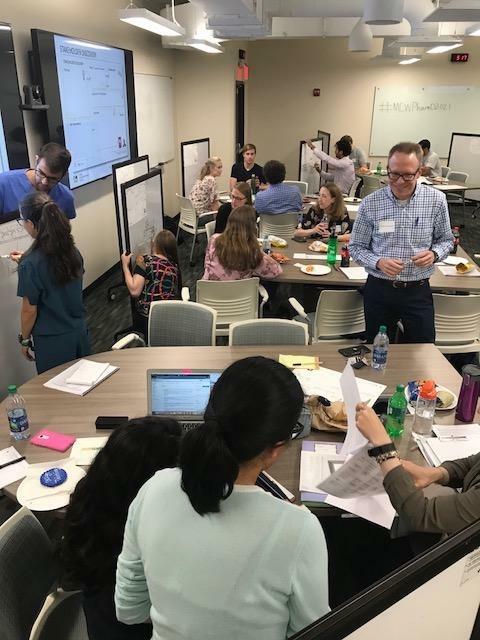 Each team is funded by the Kern Institute through the Innovative Ideas Initiative, advancing their project forward in 2018/19. Each project is framed to transform medical education by focussing on character, competence, or caring. Come learn what's being worked on and how you can get involved! To begin the Innovation Celebration, we will welcome Dr. Doug Melton of the Kern Family Foundation, who will give an interactive presentation, immediately followed by our Innovation Teams. All faculty, students, staff, family, and friends are encouraged to attend! 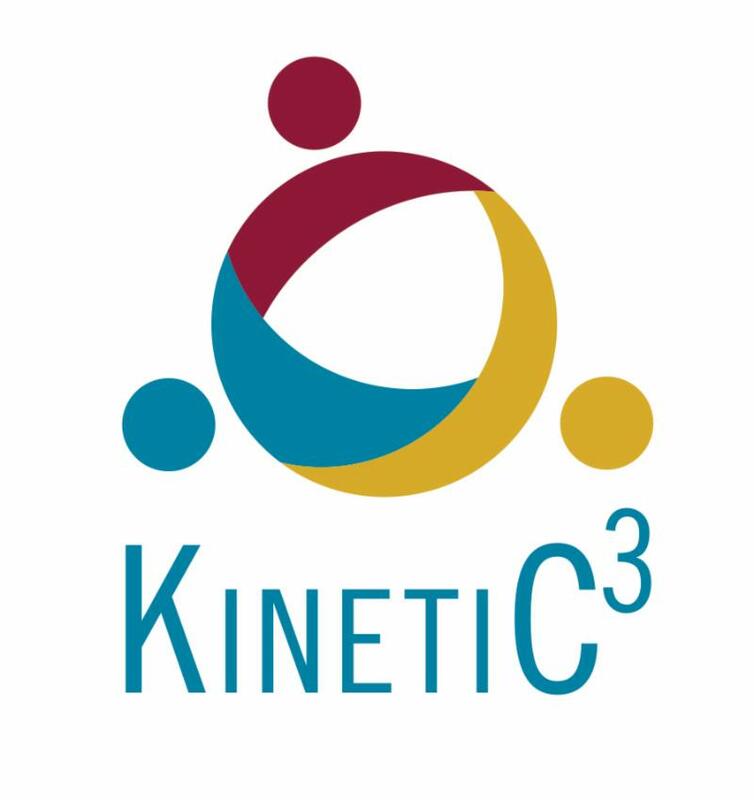 We are very pleased to announce the Kern Institute’s Teaching Academy --KINETIC 3 -- aligned with Character, Competence, Caring and Well-being, launches this month as a one-year faculty development program, culminating with a scholarly capstone project. Please join us in welcoming our inaugural 2018/19 class of learners representing 15 departments and all three of our campuses: Kavita Gadhok, Kyle Goham, Teresa Patitucci, Joshua Timpe, Anita Bublik-Anderson, Sonal Chandratre, Jeff Fritz, Roy Long, Corrie Norrbom, Robert Sedlacek, Debra Pearson, Deb Anderson, Becky Buelow, Dave Ferguson, Erin Green , Michael Medich, Amanda Nelson, Cyndi Ochsner, James Warpinski, Alexandria Bear, Angela Beckert , Karen-Sue Carlson, Renee Foutz, Brian Hilgeman, Tristram Hill, Pinky Jha, Theresa Maatman, Katherine Recka, Krista Wiger, Chad Carlson, Judy Hoggatt, Thomas Robey, Ashley Cunningham, Erica Chou, John Cox, Sara Lauck, Shilpa Narayan, Brittany Player, Amanda Rogers, Scott Welak, Carley Sauter, Christopher White, Mary Elizabeth Alvarez, Monica Shukla, Chris Dodgion, and Kenneth Jacobsohn. The 2018/19 KINETIC 3 Academy offerings include nine core content courses, as well as nine electives. Character in Medical Education: What is it and Why Should It Matter? by Ryan Spellecy, PhD, Associate Professor of Bioethics and Medical Humanities, Medical College of Wisconsin, Christian Miller, PhD, Professor of Philosophy, Wake Forest University and Author of The Character Gap, and Andrea Leep Hunderfund, MD, Assistant Professor of Neurology, Mayo Clinic School of Medicine. by Bonnie Miller, MD, MMHC, Senior Associate Dean for Health Sciences Education, Executive Vice President Educational Affairs, Vanderbilt University School of Medicine, Keith Meador, MD, ThM, MPH, Professor, Departments of Psychiatry, Religion and Health Policy, Director, Center for Biomedical Ethics and Society at Vanderbilt University School of Medicine, Molly Cooke, MD, MACP, Professor of Medicine, University of California San Francisco School of Medicine, and Warren Kinghorn, MD, ThD, Assistant Professor of Psychiatry and Pastoral and Moral Theology, Duke University Medical Center and Duke Divinity School. We are proud to welcome six new staff members to the Kern Institute team! Jana Ranson, PhD, has joined the Kern Institute as Program Director II, managing the daily operations of the Institute as well as focussing on the strategic advancement of our work. We also added five new Education Program Coordinator IIIs: Cassidy Berns (Student Pillar), Abby Goelzer (Culture & Systems Pillar), Tammy Hosch (Faculty Pillar), Kaicey von Stockhausen (Curriculum Pillar), and Joan Weiss (Cross Pillar). 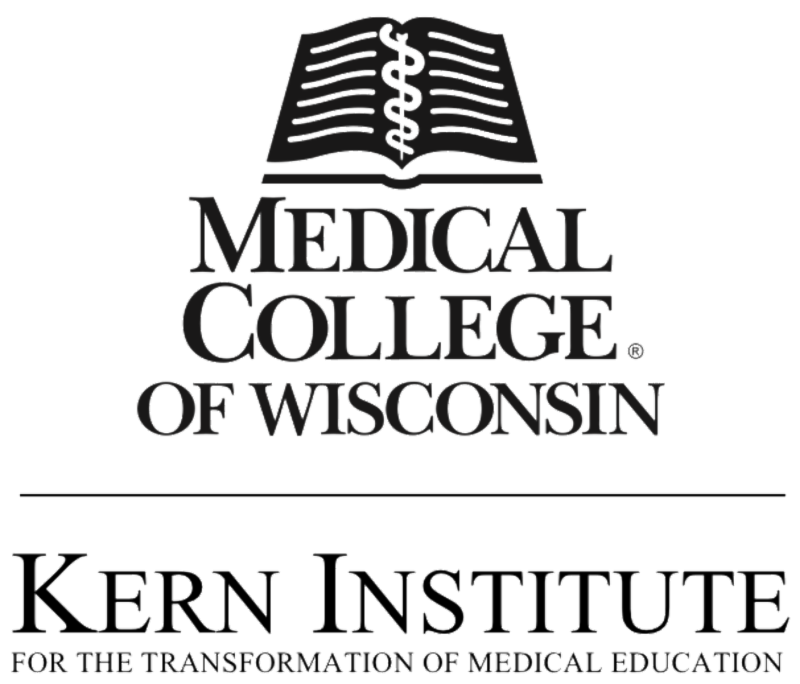 Please join us in welcoming these newest Kern Institute team members. We look forward to their unique contributions to our work. In order to accommodate our growing staff, our office suite on the first floor of the medical education building needed some remodeling. We're pleased to announce that construction is complete and our full team in now located in one place! Please stop by to see our new space and say hello when you're passing by. We're located just down the hall from the MCW Bookstore, between the Office of Diversity & Inclusion and the cafeteria. 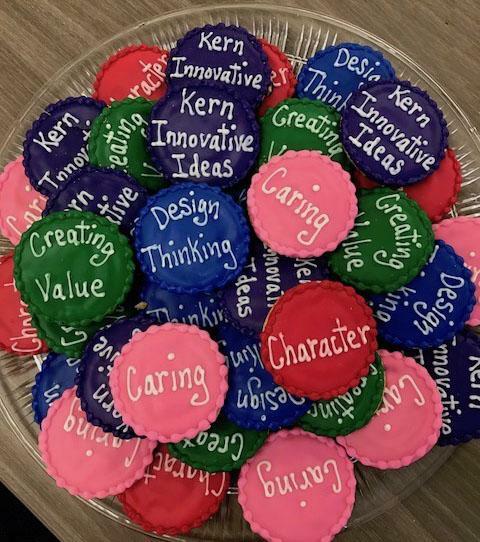 We would also like to take this opportunity to send a HUGE “Thank You!” to Kate Beadle, Michelle Centofanti, Nadine Desmarais, Jean Moreland, Julia Schmitt, Suzette Svoboda-Newman, Diane Wilke-Zemanovic, and Alicia Witten for all their dedicated work in organization and planning during the Kern Institute's development. None of the progress we’ve made would have been possible without them, and we look forward to their continued contributions to our work moving forward. 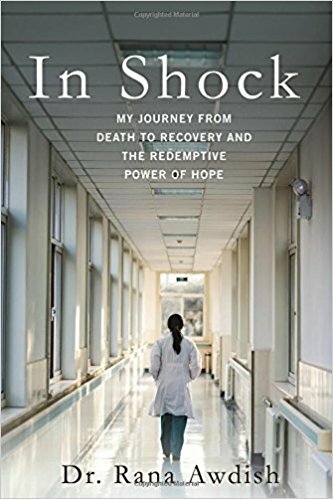 In Shock is a story of a physician who learns firsthand about the adverse aspects of the patient experience through her own catastrophic illness. Dr. Awdish, a critical care physician, began experiencing waves of abdominal pain and nausea while seven months pregnant with her first child and checked in at her workplace emergency department. Even before she was diagnosed and treated, she personally acknowledged the detachment patients often experience between themselves and the medical professionals charged with their clinical care, something she categorizes as an “unsettling, largely unspoken reality” in contemporary medicine. While she blames the conventional methodology of physician training, with its unwavering focus on disease diagnosis and distance to avoid burnout, she also recognizes that, as a doctor, she was in need of compassionate care training in order to connect with patients on more levels than directly pathological. “Despite completing my training,” she writes, “despite being surrounded by every form and severity of disease, I had yet to learn what it meant to be sick.” This, and further episodes of enlightenment, underpins the book’s core foundation. 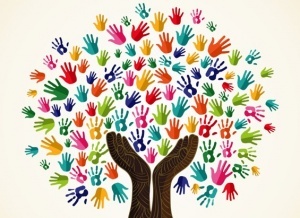 She returned to her livelihood as a humbled physician and grateful mother, to share this knowledge that there could indeed be “reciprocity in empathy” in medicine. In Shock is a reality check on the need for advanced training on compassion-centric modes of patient care. Listen to a short video where Dr. Awdish recounts her story: Dr. Awdish. 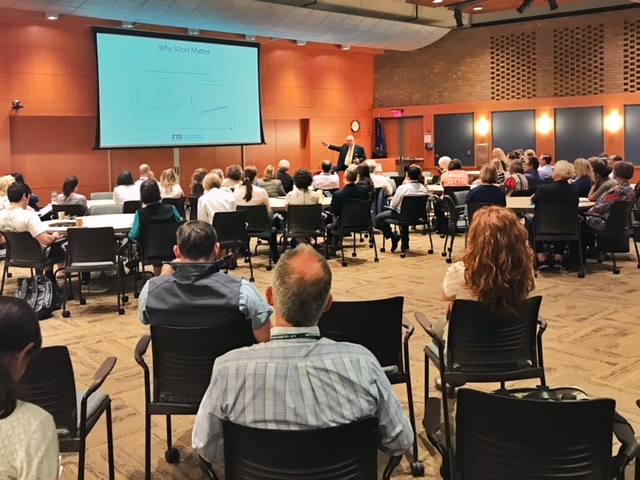 Humility, Empathy, and Social Accountability: Why Medical Education Must Change in the United States presented by Pedro J. Greer, Jr., MD. View the recording of this event here.